Is Your ASC’s Revenue Cycle Working at Full Capacity? Many ASC teams face a similar challenge – they have little time and resources to keep up with their revenue cycle. And in order for you to achieve effective and efficient ASC billing, there are several areas that need to align. Even if your facility meets all critical elements, there’s always room for improvement. The main criteria to consider include, a billing staff who stays up-to-date with ongoing education, physicians who understand the information their staff requires, and an information technology system that supports your ASC’s specific needs and requirements. 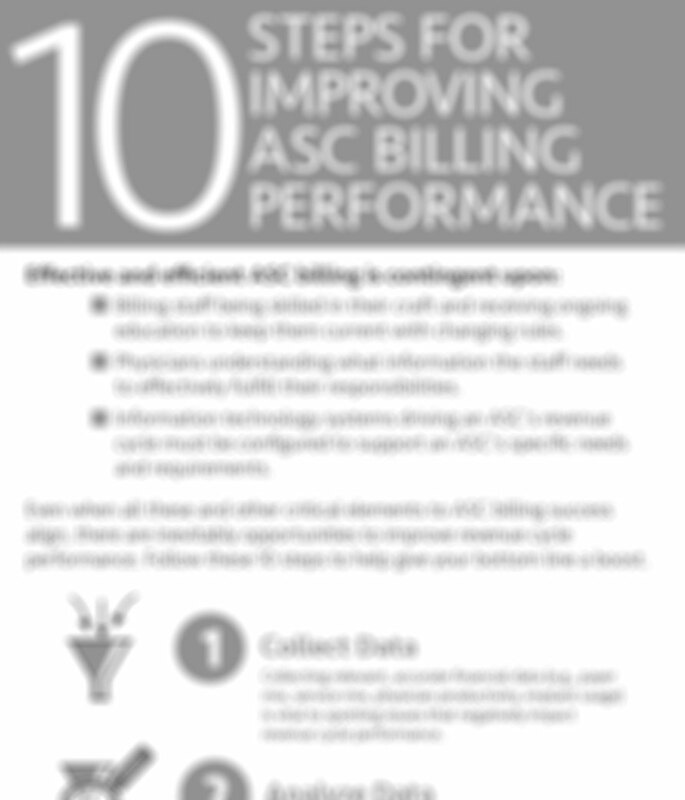 Our infographic, 10 Steps for Improving ASC Billing Performance, shares the steps that are crucial for revenue cycle performance.